Well Folks, Spring Training is HERE! You are at:Home»Arts/Entertainment»Sports»Well Folks, Spring Training is HERE! These are words that are music to a baseball fans ears. 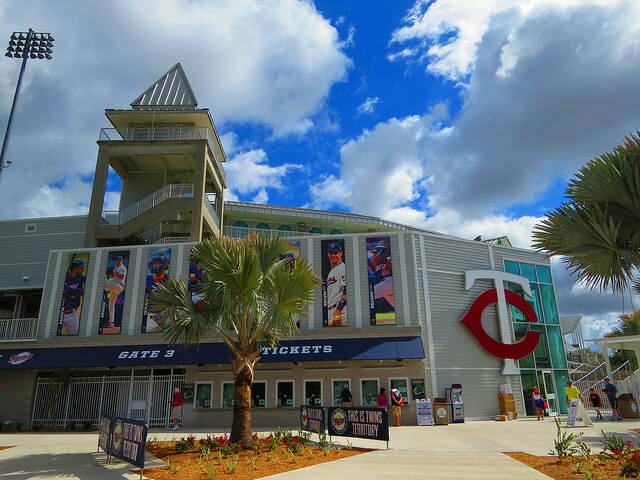 The Minnesota Twins will have officially started Spring Training down in Fort Myers, Florida, at the newly remodeled Century Link Sports Complex with the reporting of pitchers and catchers last Sunday with the position players reporting yesterday — the first full squad workout was today. Spring Training not only is to get into baseball shape, but it’s also the time to answer some of the questions a team might have about its 25-man-roster. The Twins are no exception. There are still some spots that need to be filled and decisions to be made. Let’s break down some of the decisions and questions that still need to be answered. One of the first things that stand out in looking at the Twins roster is center field. Can Aaron Hicks prove that he’s capable of playing a whole season in the Major Leagues? Hicks hasn’t fared well in the Majors the past two years. Drafted in the first round of the 2008 draft, the switch-hitting outfielder in 150 big league games has a career batting line of .201/.293/.313 with 9 homeruns, 59 runs scored and 45 RBIs. Hicks has showed flashes of playing solid defense, but his hitting hasn’t been up to par. At one point last season Hicks abandoned switch-hitting and instead only batted from the right side of the plate since he has stronger career numbers batting that way. It is expected that the Twins will give Hicks every opportunity to be with the big league club, but if he can’t prove himself, the Twins have Jordan Shafer to play in center field this season with Danny Santana as another option — although the Twins would rather see Santana play at shortstop. With top prospect Byron Buxton waiting in the wings to be the center fielder of the future, this is Hicks’s last chance to shine. Another roster spot that needs to be decided upon is the fifth spot in the Twins starting rotation. Pitchers Phil Hughes, Ervin Santana, Kyle Gibson and Ricky Nolasco figure to take the first four spots in the rotation. The Twins have several options to fill the fifth. Mike Pelfrey is one potential pitcher to fill that spot. However, he hasn’t pitched well the last two seasons with the Twins. Last season, Pelfrey only pitched the first month with a 7.99 ERA in five games before a sore groin landed him on the disabled list. He then had a sore shoulder and suffered nerve irritation in his right elbow while rehabbing, which knocked him out the rest of the season. Tommy Milone is another potential candidate for the fifth spot in the starting rotation. A thing that could work in Milone’s favor is the Twins have no left-handed starters in the rotation, and he’s the only lefty competing for the job. Milone was acquired last July from the Oakland Athletics that sent outfielder Sam Fuld to the A’s. He made five starts with the Twins, pitching to a 7.06 ERA while experiencing some discomfort in his neck. This past offseason, he had a Benign Tumor surgically removed from his neck, but Milone should be ready to pitch in camp. Prospect Trevor May is another pitcher vying for the fifth spot in the rotation. Last season, he appeared in 10 games with the Twins, pitching to a 7.88 ERA. Also, Alex Meyer, another prospect, is also competing for the fifth spot. Last season at AAA Rochester, Meyer made 27 starts with an ERA of 3.52, 153 strikeouts and 64 bases on balls. One last possible candidate to be the fifth Twins starter is Tim Stauffer. Acquired as a free agent last December from the San Diego Padres, Stauffer is more likely figured to take the place of the departed Anthony Swarzak as the long reliever given Stauffer’s recent track record of not faring well as a starter. As a reliever, Stauffer has put up solid numbers. Last season, he pitched to a 2.56 ERA in 41 relief appearances. Along with Stauffer: Glen Perkins, Casey Fien, Caleb Thielbar and Brian Duensing figure to be in the bullpen, leaving two spots open. There are several possible relief candidates that could win one or both bullpen spots, depending on how things shake out. Some of these include: Michael Tonkin, Stephen Pryor, Ryan Pressly, Rule 5 draft pick J.R. Graham, A.J. Achter and Aaron Thompson. The Twins roster is mostly set, but there are still a few things that need to be decided. 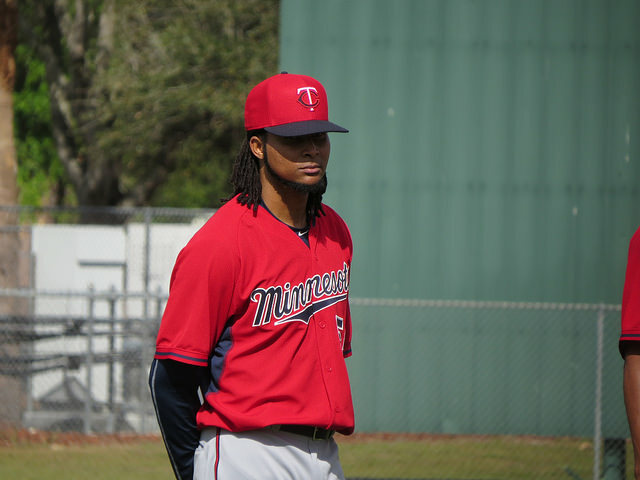 The Twins have from now till the first week in April to make their final roster decisions. Who knows, maybe a surprise might emerge this Spring Training.